We have an extremely fun day for you today! You’re invited to not one but TWO chances at rare beer releases. BLIND GUEUZE TASTING & BOTTLE RELEASE! 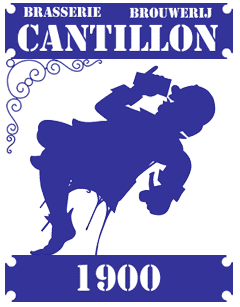 Cantillon and Drie Fontinen are world class Lambic producers, sought and hoarded the world over. But they are only 2 of a much lager range of great brewers! This Saturday, we present you with the rare opportunity to sample 4 different Belgian Gueuze Lambics so you can decide for yourself which is the best in the world. These Gueuze Lambics will be served to you blind in 5 oz pours. Simply rank your favorites and truly find out which are the best in the world! As an added bonus! All available Cantillon and Drie Fontinen bottles will be available to purchase but ONLY to attendees of our blind flight. There are many different types available but only enough to commit to those who come join us Saturday! The bottles available for purchases are based on a first-come-first-serve basis and are limited to 1 per person. We are releasing bottles of Sumi Ink, the Bourbon Barrel Aged Imperial Stout with Vanilla after our flights. Flight attendees get first crack at purchasing bottles. Otherwise, these are first come, first served. WHEN: Saturday 3/18 @ 6 P.M.